Beetroot Buthi is not a common dish of the konkanis. I got this recipe from my mother's elder sister. She makes many different dishes, which are not common. The sweetness of the beetroot balanced by the spiciness of the coconut based masala along with onion makes this dish a little different. Chop onion and beetroot. 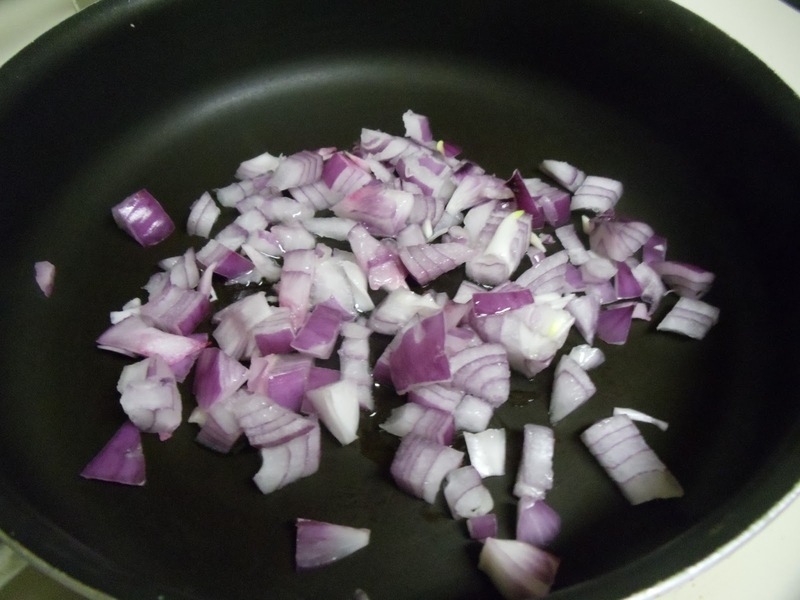 Heat oil in a kadai and add chopped onion. Fry until it turns translucent. Now add the chopped beetroot and fry for 3-4 minutes. While the beetroot is frying prepare the masala. For masala- grind grated coconut, red chillies, tamarind and coriander seeds. Make a fine paste. Add little water while grinding. 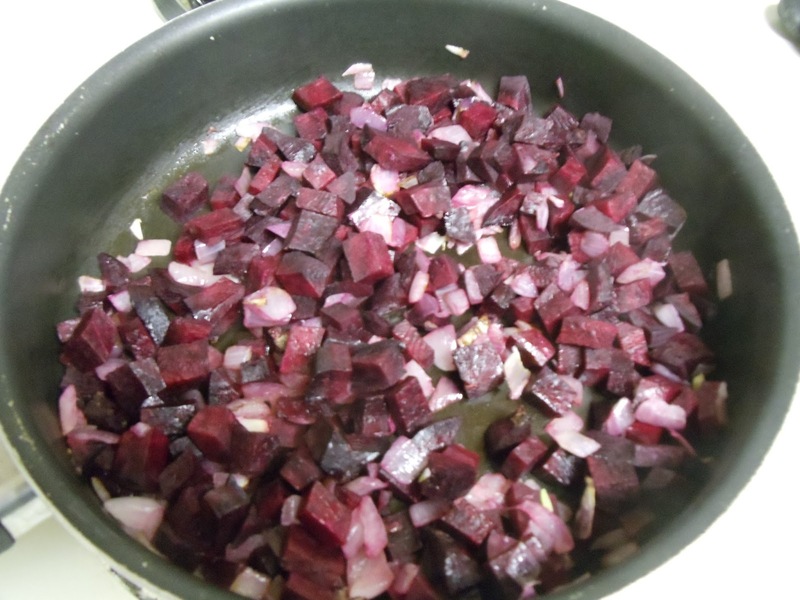 Add this masala to the beetroot-onion mixture. Mix it well. Add salt to taste. Add little water and close the lid. 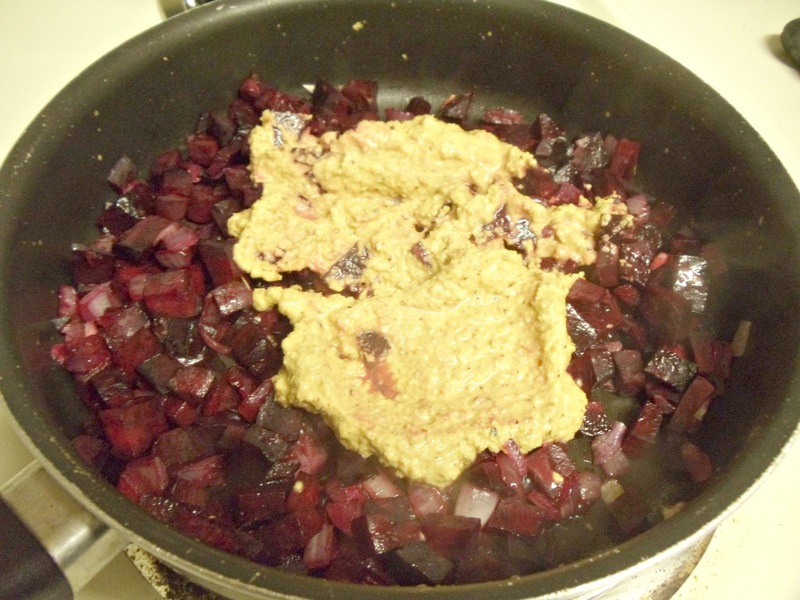 Continue cooking on a medium flame until the beetroot cooks (for me it took nearly 25 minutes). Check it often and add more water if required (Consistency of this dish is dry). 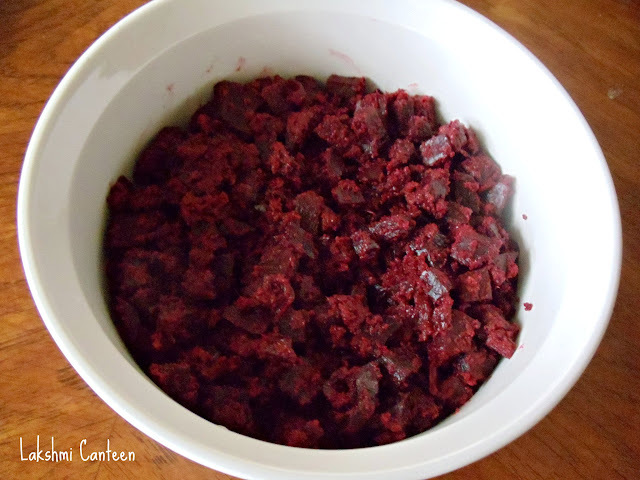 Beetroot Buthi is ready!! Serve it hot with rice. Above measurement serves 2-3 people.